The butterflies are back through September 6, 2010. 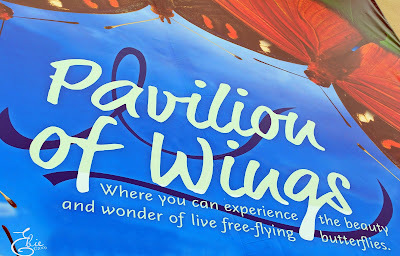 The Pavilion of Wings is a beautifully landscaped seasonal exhibit located at the Natural History Museum of Los Angeles. Over the summer, more than 40 different butterfly and moth species call the pavilion home. Here is your chance to wander into their world and better understand the environment that is needed for their survival. The Pavilion of Wings is located just outside the main Museum building on the South Lawn and special ticketed admission applies. Tickets are sold in half hour intervals throughout the day at a rate of $3 for adults, $2 for students and seniors, and $1 for children. Museum Members are free of charge. Tickets can be purchased at any Museum admissions desk or at the Pavilion of Wings itself. The Pavilion is open each day from 10:00 am to 5:00 pm, with the last tickets sold at 4:30 pm.